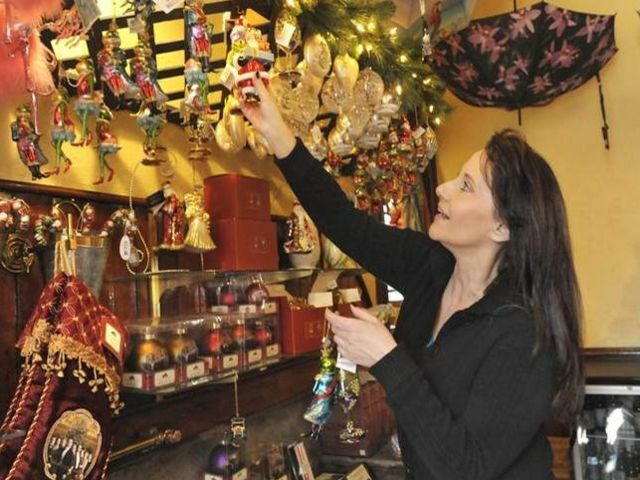 Holiday Tinsel & Treasures "Shop Local" Weekend, has been a Gallatin tradition for almost 50 years. Local retail merchants open their doors the 2nd weekend in November every year to shoppers allowing them the chance to start their Christmas shopping early. It is a great opportunity for Gallatin retail businesses to get a jump start on sales before Black Friday or Shop Local Saturday. This tradition continues this year on Saturday, November 10th from 10 am - 5 pm & Sunday, November 11th from 12 pm - 5 pm! An addition to this year's event is the Merry Market Day at the Gallatin Farmers Market. Merry Market is a handmade artisan market featuring honey, handcrafted items, soaps, candles, jewelry, baked goods, and more! The Market will be open on Saturday, November 10th only from 10am to 3pm. Location: 160 W Franklin Street in Gallatin.